It's late March. 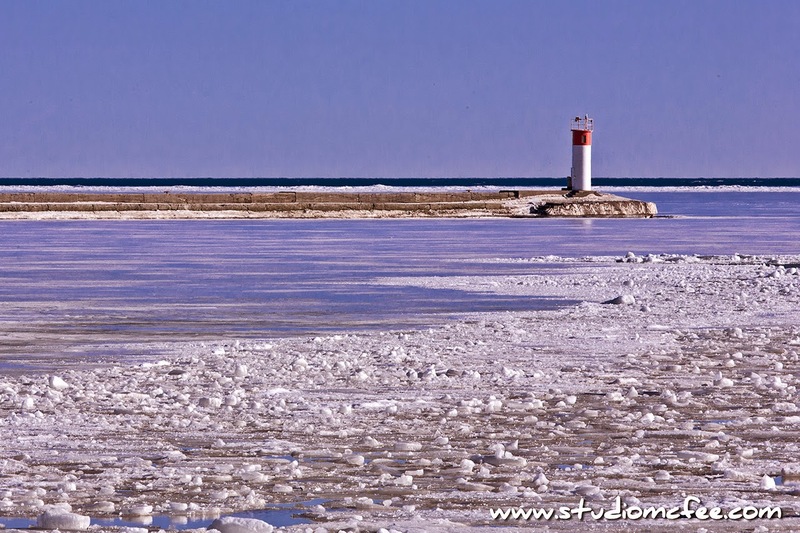 There's ice in the harbour at Port Stanley but Lake Erie has open water out on the horizon. A few days of warmer weather have made a considerable difference. Upstream the ice has gone but the harbour itself is mostly filled with ice with a few patches of open water. The ducks are happy but the fishing boats remain tied to the docks. Incidentally, the locals refer to Port Stanley simply as "Port". People who have never been in a boat in their lives talk about being in Port or going to Port. Accordingly, the photo is titled Ice in Port.